Имате въпрос към Hotel Tong Andante Insadong? Реновиран през 2013, Hotel Tong Andante Insadong гарантира на своите посетители приятен престой в Сеул независимо, дали са тук по работа или на почивка. Оттук гостите имат лесен достъп до всичко, което този оживен град може да предложи. За тези от Вас, които търсят приключения, Johyeong Gallery, Музей Чудесен чай, Noam Gallery са само част от местата, които са достъпни за посетители. 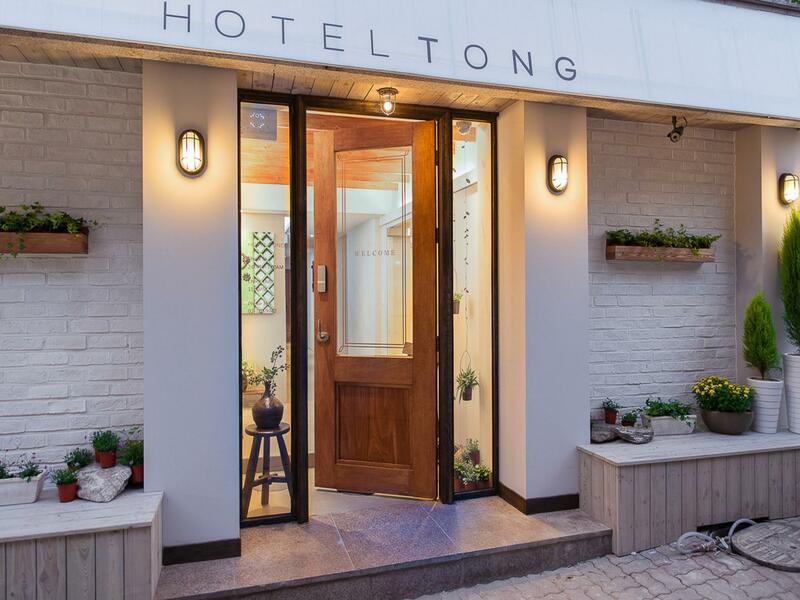 Hotel Tong Andante Insadong прави всичко възможно гостите да се почувстват удобно. Затова хотелът предоставя най-добрите услуги и удобства. Подбор на съоръжения от най-висока класа като 24-часов рум-сервиз, безплатен WiFi достъп във всички стаи, 24-часова рецепция, експресно настаняване/напускане, съхраняване на багаж, са на разположение за Вас в хотела. Гостите на хотела могат да изберат една от 19 стаи, в които се усеща атмосферата на спокойствие и хармония. Освен това в хотела можете да се възползвате от множество предложения за приятно прекарване на свободното време. Hotel Tong Andante Insadong е добър избор за всички посетители на Сеул, защото предлага спокойствие и безпроблемен престой. Вполне приличный для своих денег небольшой отельчик, рядом со станцией метро и в самом центре Сеула. Номера небольшие. Персонал хорошо говорит на английском, приветлив и при просьбах всегда помогал. На первом этаже есть небольшая кухня со столами, всегда есть кофе, чай. Есть небольшая прачечная, но платная. Рядом много кафешек в пешей доступности много достопримечательностей. Хорошее местоположение, отличный персонал. Завтрака нет, есть общая небольшая зона кухни(вода, чай, кофе бесплатно, из техники всё необходимое тоже есть). Не очень удобный подъём на этажи(крутые ступеньки), но это мелочи. Остановился бы ещё не раз. Great location with many restaurants, fast food and cafes within walking distance. Can walk to gwanhwamun and gyeongbokgung palace about 15 mins. Exit from jonggak station exit 11, turn back on yourself, then turn right, walk straight and you will see Hotel Tong on your left. Comfy room, though the size of the room is slightly small for 3 of us. One disadvantage is that there is no elevator, you need to climb up the steep staircase. Pros-Near subway and airport limousine bus stop. 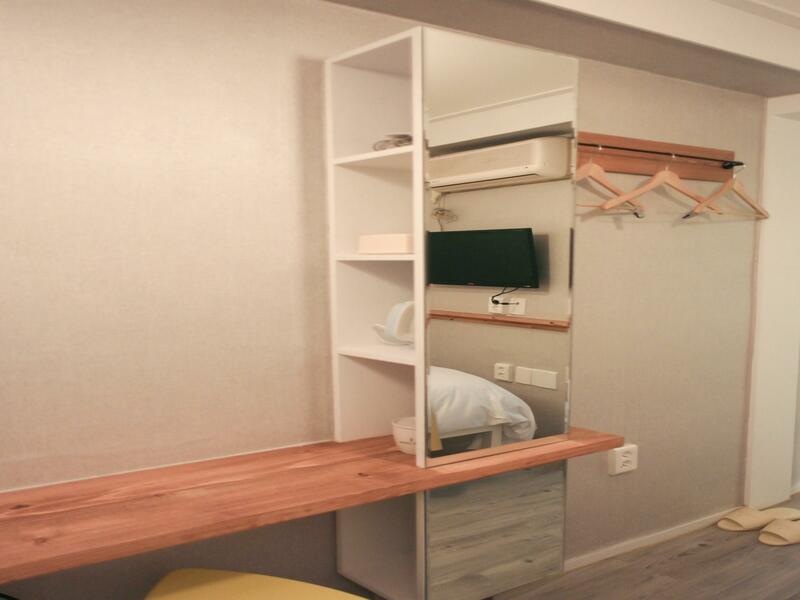 Walking distances to several tourist spots, clean room. Cons-place looks and feels more of a hostel than a hotel. Shower and toilet are not separated. Sink is outside of the bathroom and part of the room. Hotel was okay. Room was clean. We got the family room and we were put on the 4th floor. There was no elevator but front desk did assist in carrying our luggage upstairs, which we appreciated. We stayed for 7 nights. We did lose hot water a couple days and wifi for a day. Room was clean twice only during our stay. Their policy is that they will only clean your room if you tell them in advance. AND you have to specifically tell them what you want done to the room. So if you want towels, toilet paper and bed sheets replaced, trash removed, you will have to tell them that specifically. Also no toothbrush, toothpaste and soap are provided. Overall, satisfied with our stay. An enjoyable stay. Room small, but hey, this is Seoul! Jongyak metro, exit 3, then turn left into the first lane (with lots of ATMs on the corner), then 50 metres up the lane on left. Or exit 11 which has an escalator, then turn back on yourself, then right into the lane. Although the room is quite small, fine and comfortable. 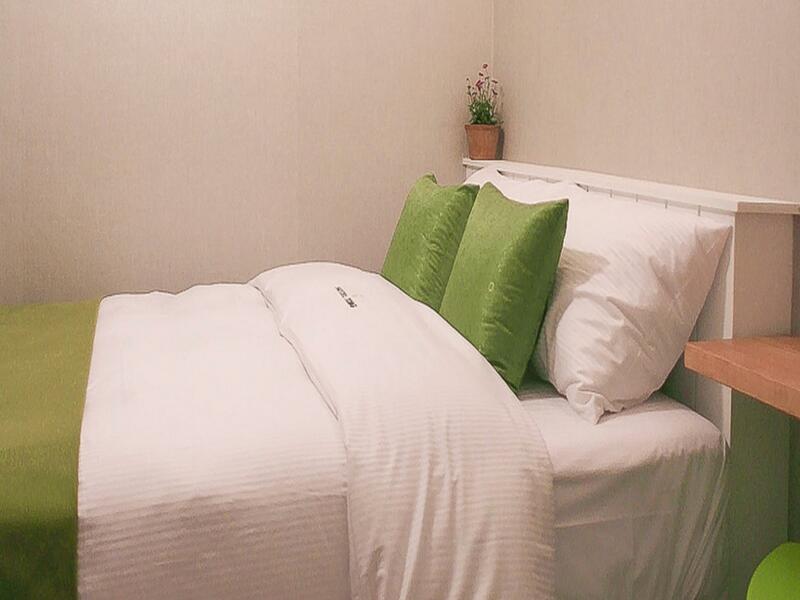 Location is convenient, which is just next to the exit 11 of Jonggak metro station. Overall is great. Just a little accident happened during the period i stay in hotel, hot water supply was out of order one night. No hot water for shower. However, the next morning, the hot water supply became normal. It seems to be quite a new hotel, however the building was very old as could be seen in the bathroom. There was an awful smell coming from the drains and I had room temperature water as I was taking my shower. Check in staff was rude as they rolled their eyes at me as I asked them what time check out was. Front door gets locked early (which I wasn't told about) and another staff member rudely chastised me for forgetting how to unlock the door, to which I told them that nobody told me how to unlock the door in the first place. Fortunately I had come back early enough for a staff member to be there else I would have been forced to sleep elsewhere. I paid for a late checkout but this didn't stop cleaning staff from entering my room while I was still in bed. Far far better alternatives in Insadong area. The price was reasonable but the room is very small and more importantly dirty. There were a lot of dust on the surface on the outflow of air of the air conditioner and thus frightened me to turn the conditioner on. Also, there was dust on window which made opening the window became an unpleasant experience. Отседнахме 7 вечер/и в април 2016 г. Convenient to take airport bus. Good position and nearby 인사동. Room is too small and sound-proofing is poor.....My room located in 1 floor and easy to hear another person who's talking in living room. Positive; -Clean room -Soft bed and pillow -Good location -Friendly staff -Free coffee ,tea,water -Got cattle in the room -Near the airport limousine bus stop -Near Jonggak subway -Fast wifi Negative; -No elevator -No maid service during check out -Intermittent hot water in shower (in winter) -Thin wall NOT sound prove All good due our 4 nights stay will go back! The hotel is near to Jonggak station with walking distant 5 minutes. You can walk around Insadong street and underground market as just reach by walking, For sharing experience, to avoid order taxi to airport from the hotel reception, I request the hotel assistant to order taxi to airport at the morning 7am, the taxi was not arrive by 7am the hotel reception said the taxi will late half hour as jam. When 7.30am. We still not see the taxi and reception told that th taxi unable come fetch us due to traffic jam. I about miss my fly and lucky there are airport bus near to hotel and we last minutes onboard. The reception no apologies and also not provide help at all. Disappointed. The stay was well worth our cash, we usually stay at up scale hotel but decide to try something outside of our comfort zone and stay in the middle of Seoul. The hotel is tucked away in an alley but it's right off one of the Maine streets. the staff was very polite and showed us to our room, the showed us how the locks worked because you don't have a hotel key everything is personalized to you. The room was small and comfy and had everything that we needed. The hotel provides shampoo and conditioner plus body wash, they even offered us Toohtbrushes in case we had not brought some. The hotel is in a very busy area so expect some happy Koreans to make some noise but everything died down around 2 am, the only down part of the stay is that the AC system does not work very well and unless you know Hangul you won't understand the writing on the controls also the one window in the room is super small. Over all our stay was great and I would highly recommended. I am a U.S. soldier stationed in Korea and the hotel was super foreigner friendly. Going to and from the airport is extremely easy via airport limousine. Reasonable price. Great service. Walking distance from serveral attractions, or 2 mins from MRT which you can take to other places. I like there are 3-4 twin-sockets inside the room, easy for charging. However the hotel introduction didn't exactly tell there is no elevator in the hotel and I brought a heavy luggage, that caused some problem during checking in and out. The hotel is right inside Insadong, so finding good Korean food is not an issue. It is also near the airport bus stop, just 5mins walking distance. 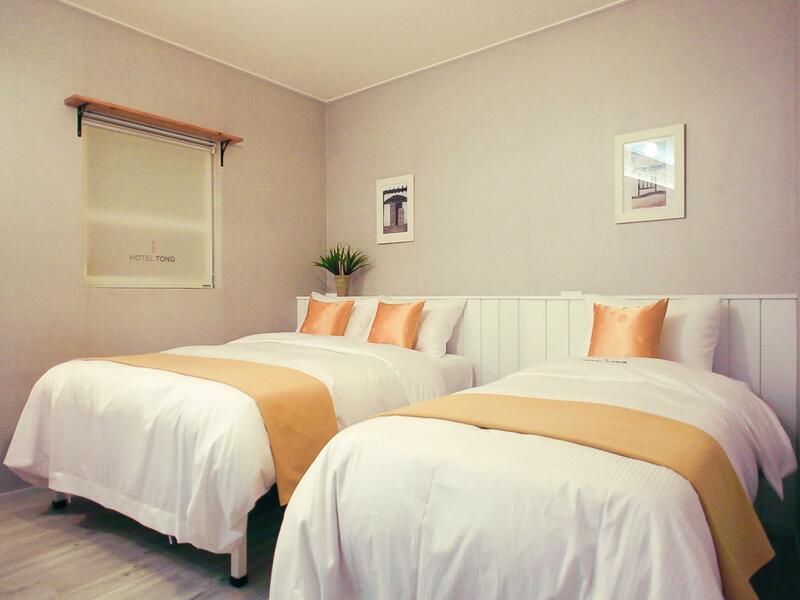 But the location of the hotel is a bit hard to find, should go from the Jongno 11-gil side, and it's located inside a small road after some restaurants. 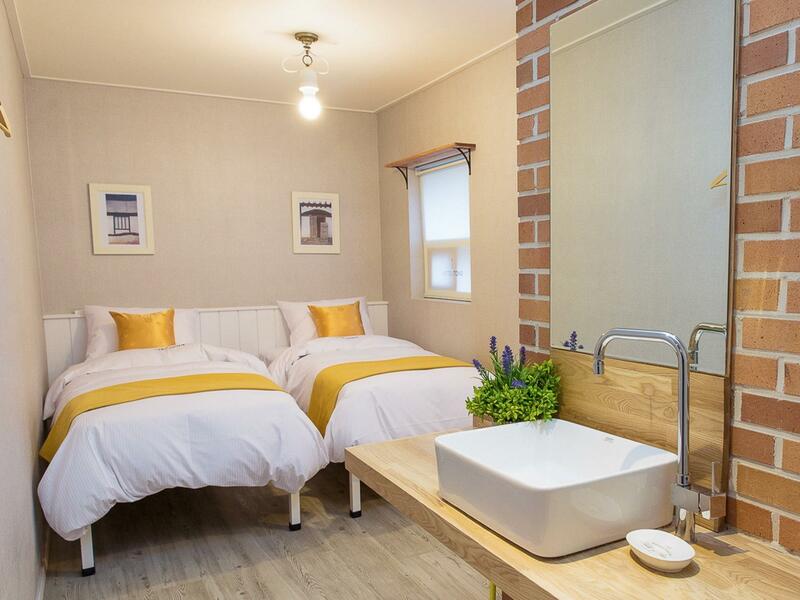 Fantastic location, couldn't be any closer to lots of attractions including insadong only 5mins away. Hotel was clean and warm and met basic needs. Staff were helpful and friendly and looked after suitcases after we checked out. Only minor negative was that rooms are very small. I like hotel location is the most, but my room is in the first floor and when people talking and walking I could hear really clearly also it was annoying me during sleep. Otherwise, everything is good. though you have to walk through small road, the hotel is located in a very convenient place where you can reach major tourist spots. It's an old walk up building renovated and turned into a hotel.. so you have to walk up with your luggage....but there are many good restaurants, and bus stops and subway stations are very near.